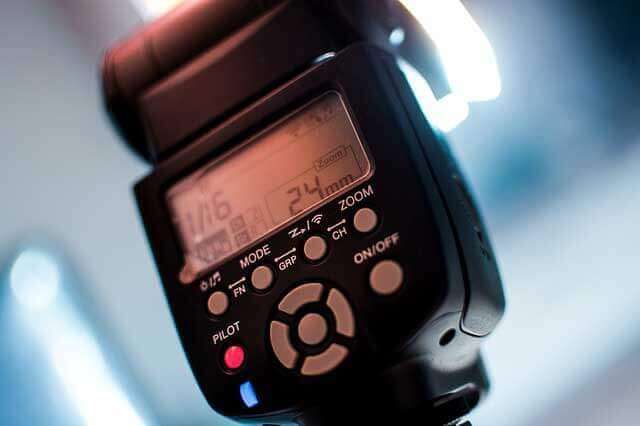 On-camera flashes, or speedlights, (sometimes called strobe lights), provide additional light when you don’t have enough available light to properly expose your photograph. These shoe-mount flashes mount easily to the top of your camera, or they can be held off-camera using a sync cord. 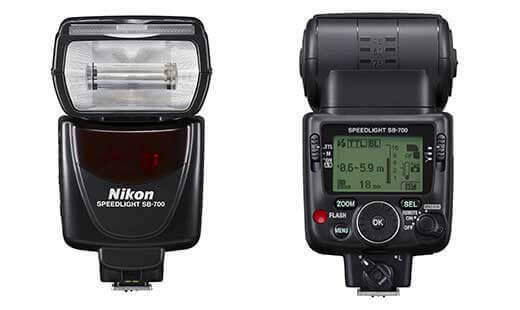 Speedlights run on batteries and the higher end units have an option to connect an external power source for improved performance. Most camera manufacturers offer a range of optional external flash units that are compatible with your specific camera. Most of these units have rotating heads that move left-to-right and up-and-down. So you can bounce the light off a wall or the ceiling. Most serious photographers use flash units with automatic exposure controls (ranging in price from $50 up to hundreds)… typical circuitry (called thyristor circuits) has the ability to continue to pour light onto the subject – and back to the camera – until the exact exposure is accomplished even if the flash is not pointed directly at the subject matter. 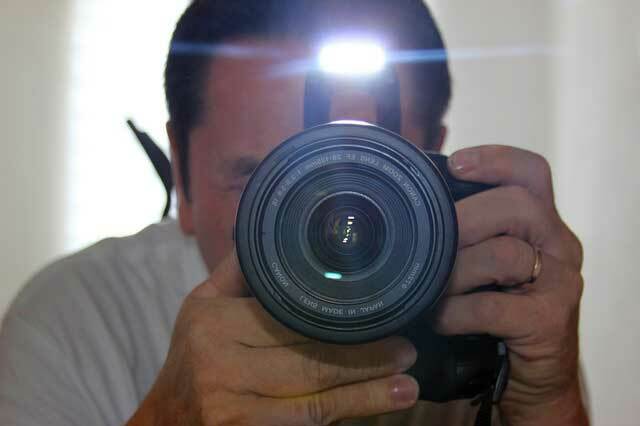 Here is why you would NOT point the flash directly at the subject. If you shoot “straight- on, you run the risk of washing out skin tones, eliminating texture, creating harsh shadows, and getting “red-eye”. 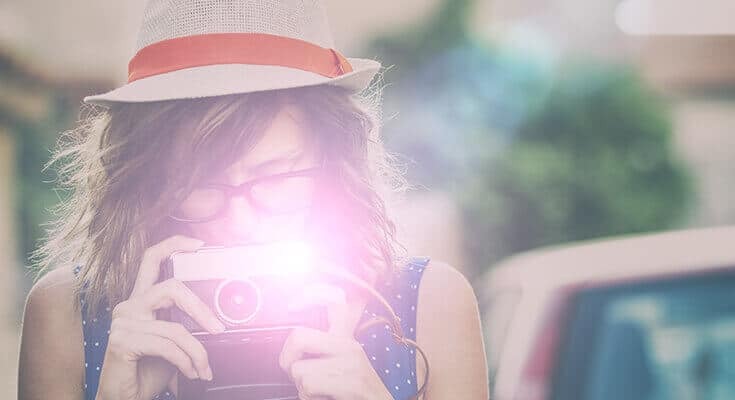 But, if you want to soften the light and spread it out and eliminate shadows, you should lift the flash off the camera and aim it…. I aimed the flash at the girl in the background and the light spread evenly from foreground to the back. Also, moving the flash to one side will bring out detail and texture of the subject. Even better…. use “bounce light” whenever possible. By aiming the light upwards it will bounce off the ceiling and spread out softly, giving you much more balanced lighting and no harsh shadows. There are times outdoors when shadows may require “fill light” from a flash. However, backlit lighting can be pleasing…. here I opened up two stops from the normal daylight exposure. At other times, outdoors, the shadows maybe intrusive and offensive, and you should use flash to fill in the areas of the subject that are covered with shadows. Here I had to make the exposure based on the fact that the maximum shutter setting for flash is 1/125th … so I took the flash off automatic – thus giving me full power and set the aperture at f22. The flash on my trusty, old Ricoh “point-and-shoot” camera was powerful enough so I placed some Mystic tape over the flash head to reduce the harsh light. Instead of paying $40-50 for a factory-made diffuser for my Vivitar strobe … I cut off the end of a small plastic bottle (made of translucent material) and taped it on the head. Works great!!!!! what exactly is a slave unit and what is it used for? A slave unit is a flash that is not actually a part of the camera. It is not internal and it is not connected in the hot shoe. They often have an optical sensor that triggers the flash when the flash on your camera fires. There are more highly developed systems out there that are more commonly in studios where you can basically connect a remote control to your hot shoe and have all your lighting fire based on that remote control trigger. Slave units are incredibly useful as often times you want light sources from more than one angle. Thank you for sharing the wonders of trying to create great pictures. The lessons were informative and even as the film camera era is eliminated the information you shared will make those in of us non photographers in the digital era more aware of the art and science of capturing a picture that is worth a million ahhhs. We will always need the real photographers. Just for future readers Light level decreases in defined formula. The formula goes something like 1/distance^2 also known as the inverse square. basically if you double the distance you quater the light, triple the distance and you take the level of light to 1/9th that of the original distance. Your posts are really educative for beginners! What kind of flash would you buy to add to a Olympus E-510? Your web pages are great, but you could help the reader to follow your explanations more easily by writing ‘above’ or ‘below’ when referring to images.